A few months back there was a rumor of a future project for heavy maintenance of the Macroplaza, Monterrey’s central square. 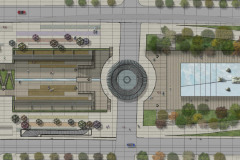 Some talked about adding more fountains, lopping off branches, and adapting hallways. 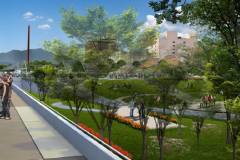 The project was finally released to the public last week by the Government of the State of Nuevo León. 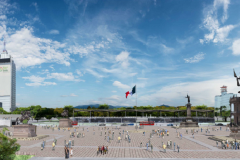 The project called Revitalización de la Macroplaza, Renovation of the Macroplaza, is far from being a simple adaptation of fountains and gardens. 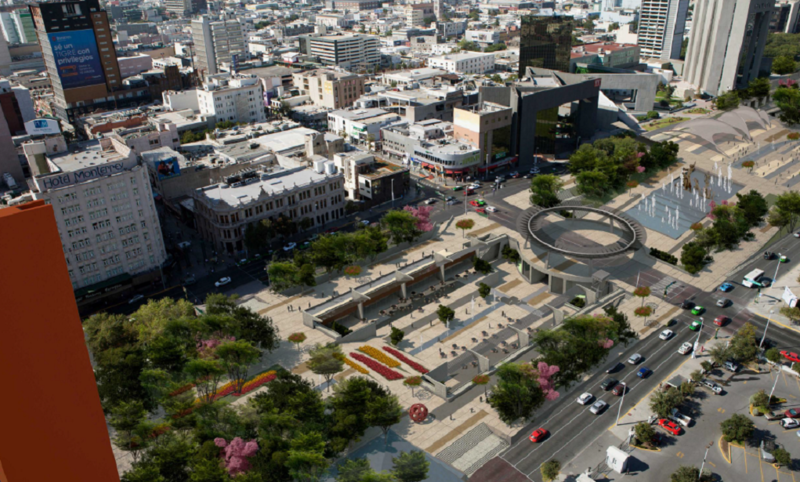 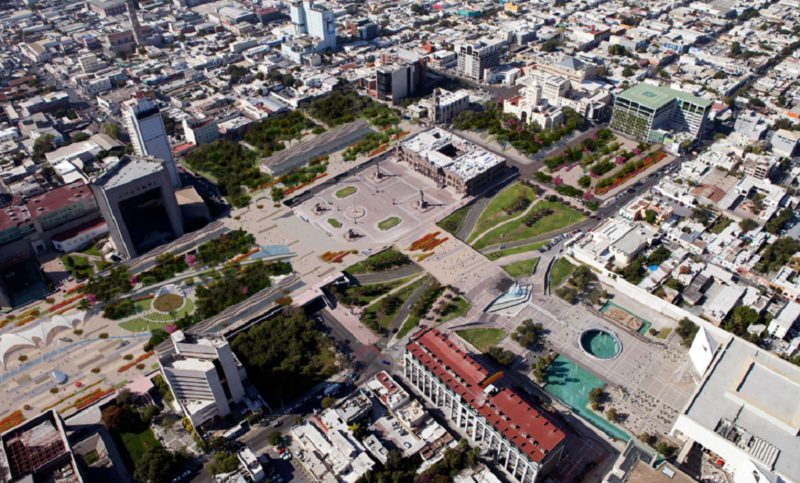 It is much closer to being a rebirth of the Macroplaza square towards the new century. 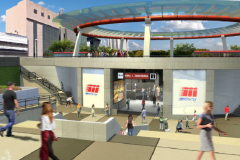 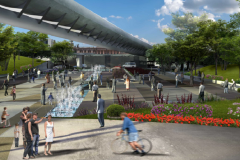 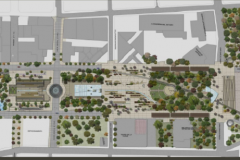 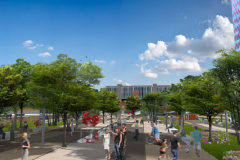 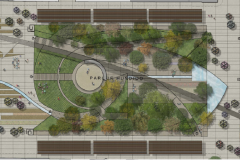 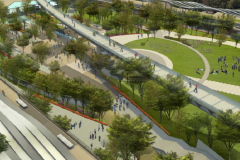 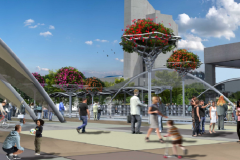 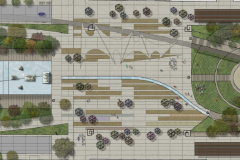 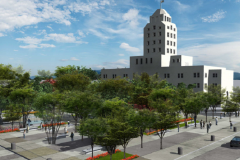 What the project designers have in mind is to integrate the Macroplaza square to the newer Paseo Santa Lucía, Monterrey’s river walk. 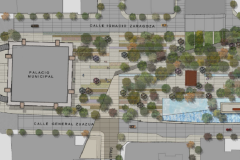 Some architects will oppose the project because they want to see the Macroplaza unchanged, just like it was at its opening back in the 80’s. 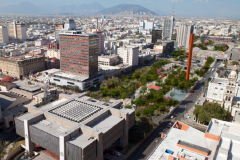 Those architects do not seem to understand there was always this vision of having the large space from Fundidora park to the Marcoplaza connected by Paseo Santa Lucía (river walk). 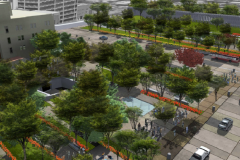 This idea was brought back into mind especially since the last stage of Paseo Santa Lucía opened back in 2008 and also as a consequence of the state of physical and popular damage the Macroplaza has lived in recent years. 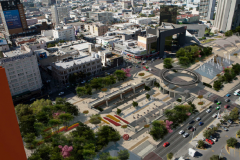 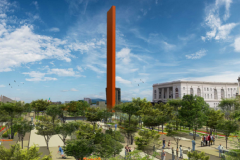 Writer’s Look agrees with the new project on this last aspect in order to place the Macroplaza in the 21st century and to re launch it as the heart of Monterrey’s metropolitan area. 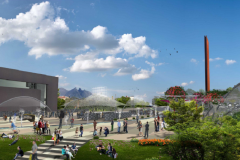 The project was presented by the head of the Touristic Development Corporation, Patricia Aguirre González, representing the State of Nuevo León and the master plan was developed by Master Design & Architecture. 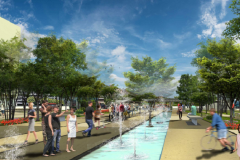 The project is still on the public consultation stage; anyone interested in providing feedback, presenting their own proposal, or downloading the released master plan may do so on the project’s website. 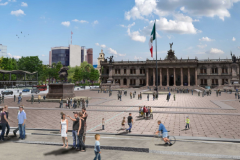 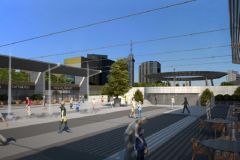 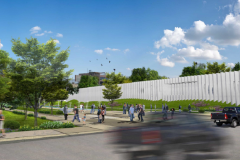 The project aims at adapting each one of the previous squares and venues that make the Great Square, besides erecting an elevated pedestrian corridor. 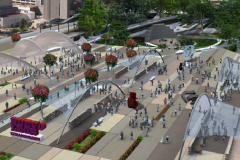 It will also reintegrate abandoned retail spaces and will add new ones. 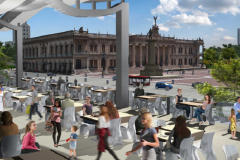 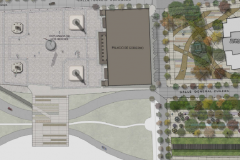 The following gallery show each part of the Macroplaza and the proposed changes. 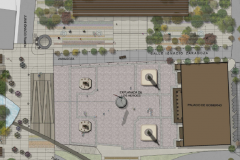 The following map shows the area from Macroplaza square to Parque Fundidora park. The following video by Post And Fly shows the current state of the Macroplaza square.